From robot jockeys to the world’s busiest international airport, here are some remarkable facts about Dubai, host city of the The Annual Meeting of the Global Future Councils on 13-14 November. Data from the Government of Dubai suggests that more than 90% of the population in 2015 was from outside the Emirates. 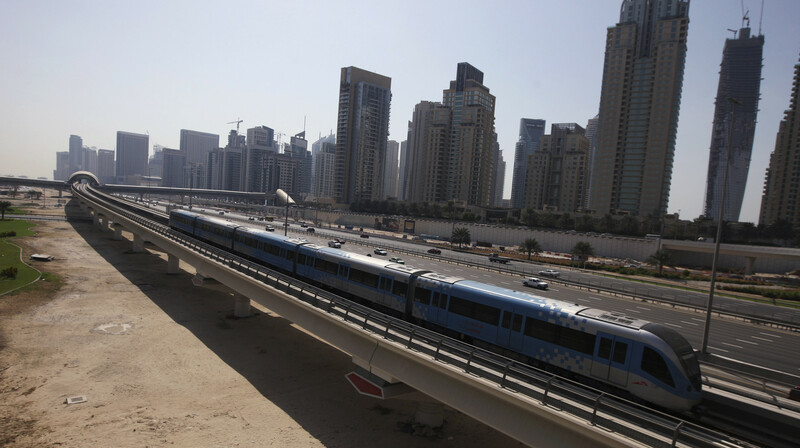 The total population of the Emirate was estimated at 2,446,675. Of these just 222,875 were Emirati, says the Dubai Statistics Center. Dubai is set to have over 15 million visitors this year, according to the Mastercard Global Destination Cities Index 2016 . When you consider its relatively small population, this amounts to over six visitors for every resident. 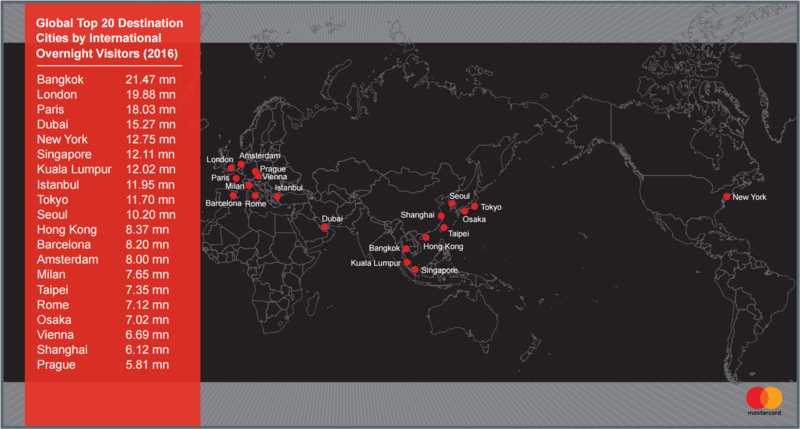 In terms of overall visitors though, it’s still got some way to go to beat Bangkok, which tops the Mastercard Index. The Thai capital is on course to have more than 21 million visitors . 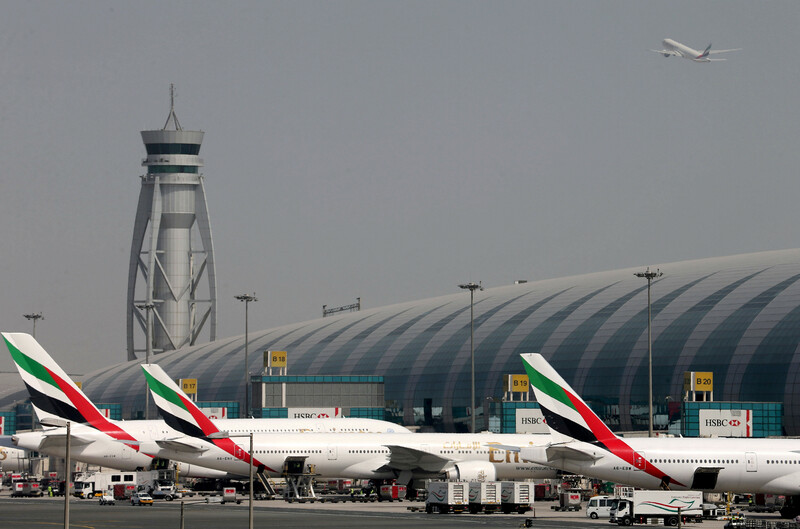 Dubai overtook London Heathrow in 2014 as the world’s busiest international hub. It is also the third busiest in the world in terms of total passenger numbers and expects to rise to number one soon. The airport handled over 78 million passengers last year, according to Airports Council International . The city also boasts a record breaking public-transport system. According to the Guinness World Records , the metro line is the longest driverless metro line in the world. It carried the best part of half a million passengers every day in 2015 . That may sound a lot, but the London Underground carries around 3.67 million passengers daily (or 1.34 billion every year ). Camel racing is a traditional sport in Dubai. It’s recently taken on a modern twist though – robot jockeys. 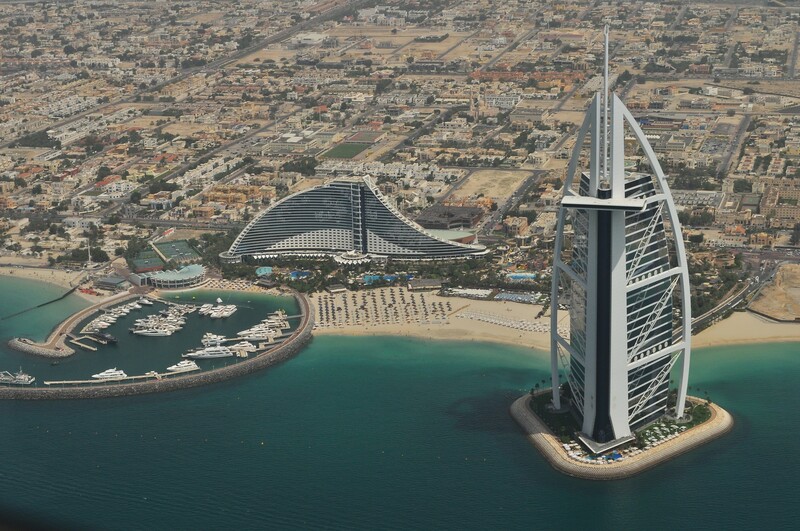 Over two-thirds of Dubai’s population is male, according to estimates from the Government of Dubai. 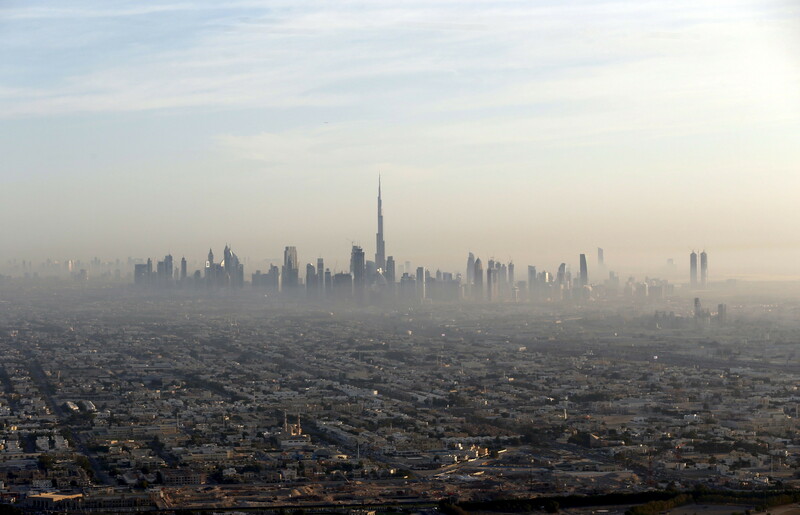 There were an estimated three-quarters of a million women living in Dubai last year, compared to 1.7 million men. The Burj Khalifa stands 828 metres tall. It has 24,000 windows, contains 330,000 cubic metres of concrete and took 22 million man hours to build. It’s so tall, that in 2011, Dubai’s leading clerics said that Muslims living in the building should break their fast later during Ramadan. The argument being that the sun will set later at the top. 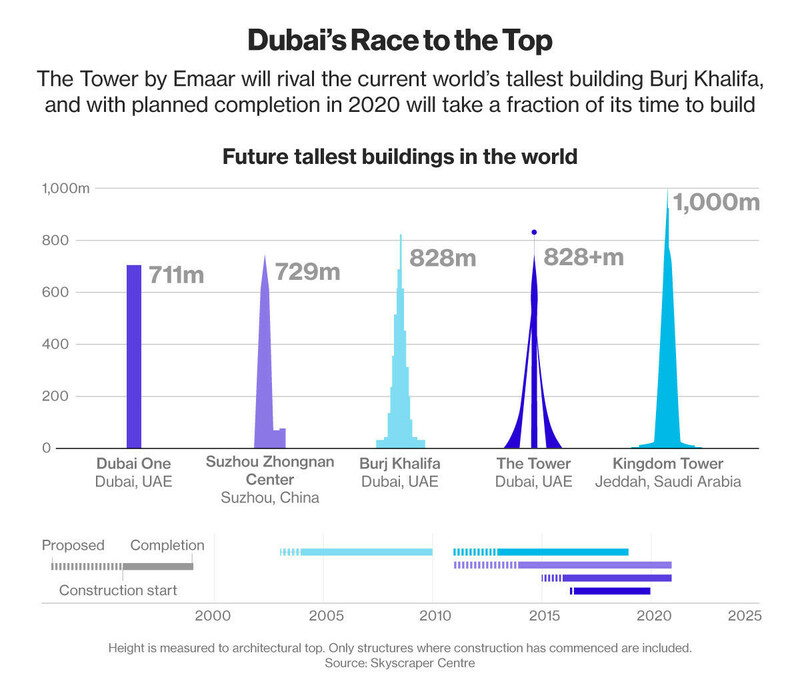 Soon, however, there will be an even taller building in Dubai. Construction on what will be the world’s tallest building by 2020, the Tower at Dubai Creek Harbour, has officially started. The building will apparently be a "notch taller" than the Burj Khalifa.